Macinelle Village is the closest tourist village to the centre of Marina di Camerota as you will indeed be able to reach its town centre via a short and pleasant walk. 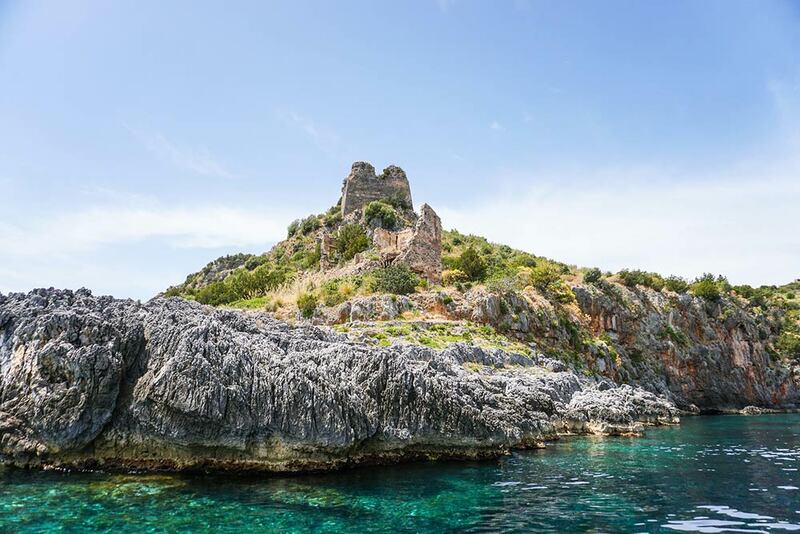 This exquisite seaside town is also nicknamed the “Pearl of Cilento”, precisely because of the beauty of its sea, its spectacular landscape and its rich cultural and artistic heritage. The wonderful beaches are doubtless the main attractions, real gems from Cliento whose white sands and pristine waters bewitch their several visitors. Among the most renowned ones is Calanca Beach which hosts a bathing establishment solely open to the guests of our village. Its shallow sea beds and the well-extended shoreline of white sand makes it ideal for families and kids. Approximately one kilometer away from town is Lentiscelle, a beach featuring a rocky and deep sea floor suitable to take dives. 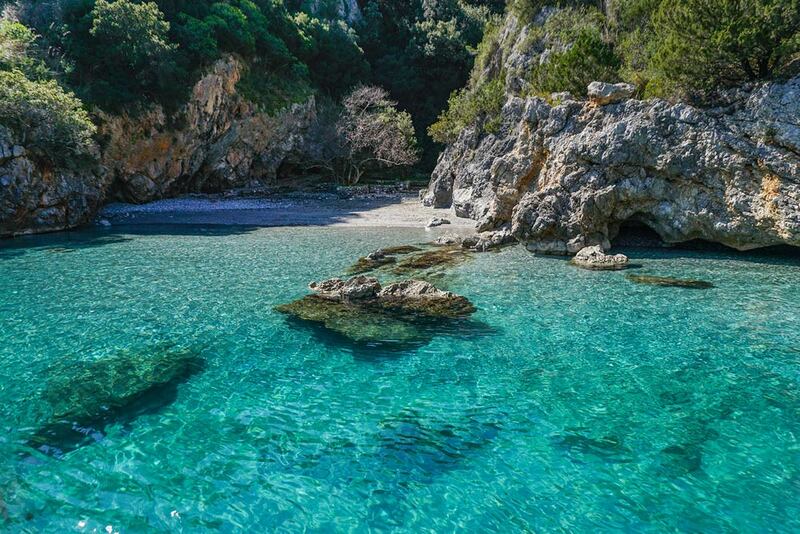 A must-see is the well-known Cala Bianca Beach, elected Italy’s most beautiful beach by Legambiente in 2013. 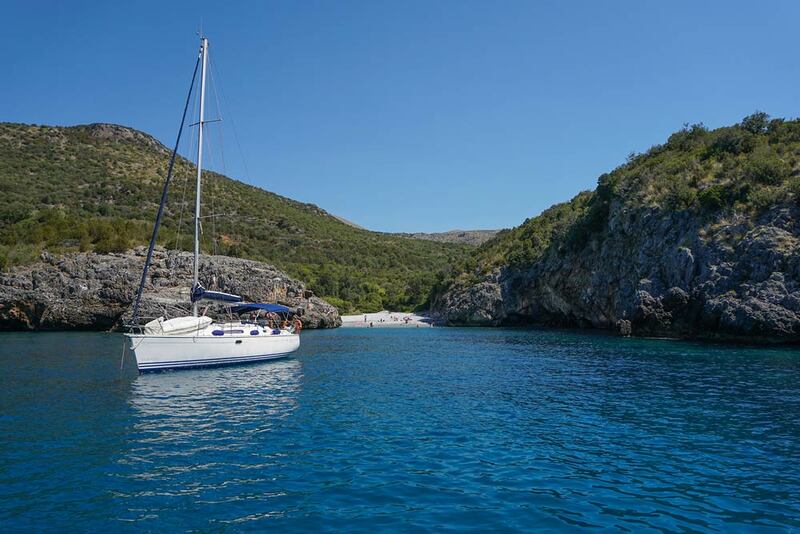 This tiny and wonderful beach kissed by pristine waters and plunged into the Mediterranean scrub which is reachable only by boat is named after its pebbles and white sand. 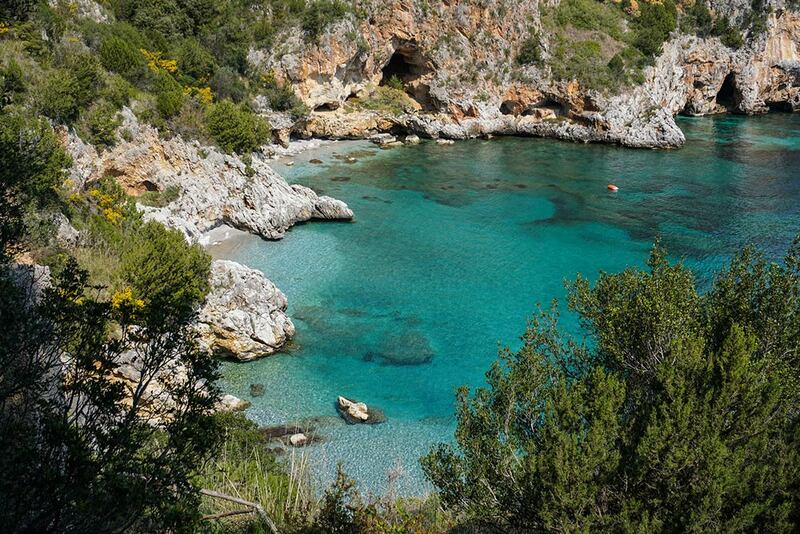 Equally fascinating is Cala degli Affreschi, elected Italy’s most beautiful beach in 2014 and reachable only by sea or walking along a picturesque trail nestled into nature. Worth a mention are also San Domenico Beach, known also as Marina delle Barche and featuring white sand, the wild Cala d’Arconte, Troncone Beach, the first nudist and gay-friendly beach recognized as such, and lastly Pozzallo Beach, lying 40 minutes away on foot. The territory of Marina di Camerota is plunged into Parco Nazionale del Cilento (Cilento National Park) and Vallo di Diano, which is protected by UNESCO as world’s heritage-listed site. Inside the park it is possible to take trails and explore places of incredible beauty, including the spectacular marine caves which were home to important Stone Age finds. Among the most relevant ones are Grotta di Cala Fortuna (Cala Fortuna Cave), dell’Uomo Preistorico (Prehistoric Man’s Cave), di Porto Infreschi (Porto Infreschi Cave), dell’Autaro (Antaro Cave), della Caprara (Caprara Cave) and Riparo del Poggio (Del Poggio Shelter). The worth-visiting MUVIP museum - Museo Virtuale Paleolitico - was dedicated to these caves. You should not definitely miss out a visit at the historic centre of Marina di Camerota with its sprawling alleyways surrounding San Domenico Square, where lots of events such as concerts and shows are held during the summer season. Take also a look at the local handicraft shops to buy “mammole”, famous porous jugs that keep the water fresh at all time.